General Atomics Aeronautical Systems, Inc. (GA-ASI) received a Special Airworthiness Certification in the Experimental Category from the FAA for its second MQ-9B SkyGuardian aircraft. 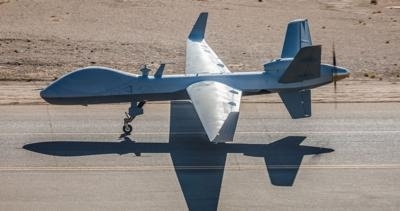 The company-owned Remotely Piloted Aircraft (RPA) – registered as N191FP and known as YBC02 – joins the first SkyGuardian in support of the MQ-9B development program. This certification permits YBC02 to conduct flight operations in National Airspace (NAS) as a civil aircraft.